Drs. 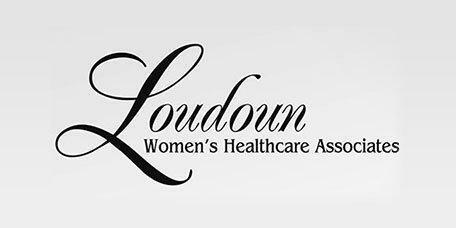 Roopa Duggal and Chauncey Stokes have helped many women who live near Loudoun Women’s Healthcare Associates and needed surgery. Respected by both peers and patients, they’re widely regarded as some of the top laparoscopic surgery specialists who serve Leesburg and Lansdowne, Virginia. Laparoscopic surgery is a type of minimally invasive surgery. During a laparoscopic procedure, small incisions are made, through which fiber optic tools are able to access the area that’s being operated on. Doctors are able to complete the entire surgery without ever needing to make a large incision, which traditional surgery often requires. When compared to traditional surgery, laparoscopic procedures have to advantages. Because only small incisions are needed, the risk of complication is much lower, and the body is able to heal much faster. Patients can often recover from a laparoscopic procedure in a fraction of the time that it’d take to recover from an identical traditional surgery. What Surgical Procedures Can Be Performed as Laparoscopic Procedures? Surgeons in almost all fields of medicine are able to do a lot of different procedures laparoscopically. Some surgeries that OB/GYNs can do laparoscopically include gynecologic cancer staging, myomectomies (which is the removal of fibroids), hysterectomies (which is the removal of the uterus), tubal ligation (which sterilizes a woman), and tubal reanastomosis (which reverses a tubal ligation). Does Health Insurance Cover Laparoscopic Surgery? Every health insurance plan’s terms and every patient’s medical needs are different, and whether any specific plan will cover any particular procedure is dependent upon a number of factors. In general, however, health insurance policies that cover a traditional surgery will also cover an identical laparoscopic procedure. Because the risk of complication is lower and the recovery time is shorter when a procedure is done laparoscopically, laparoscopic surgery can sometimes actually save insurance companies money. What Should Women Look for When Choosing a Laparoscopic Surgeon? When looking for a laparoscopic surgeon to treat an issue related to the reproductive system, women should seek out a laparoscopic surgeon who is licensed, board-certified and experienced with the particular procedure that needs to be done. Such a surgeon will be well-qualified to perform the procedure.